Alfred Workman was a muleskinner who moved here from Australia, winding up running a massive wheat farm owned by a syndicate led by Isaac Lankershim and Isaac Van Nuys. 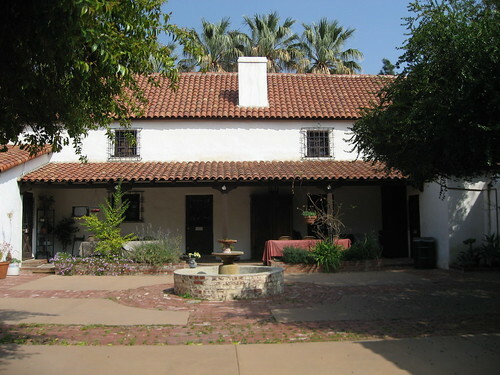 Between 1869 and 1872, Workman built a home for his wife, Henrietta Feliz, and himself by adding onto an existing adobe. He used plenty of redwood and brick. Some say the Australian had eucalyptus trees imported and planted on the estate, and those folks claim all the eucalyptus trees in California stem from Workman Ranch. Other sources show evidence of a San Franciscan planting eucalyptus trees as early as 1853. 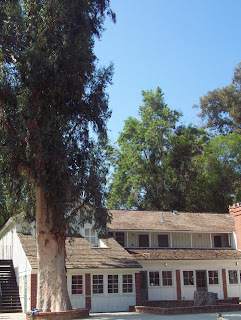 In any event, there were and are eucalyptus trees on the property. The Paulls, Willard and Bessie, bought the place in the early 1900s. 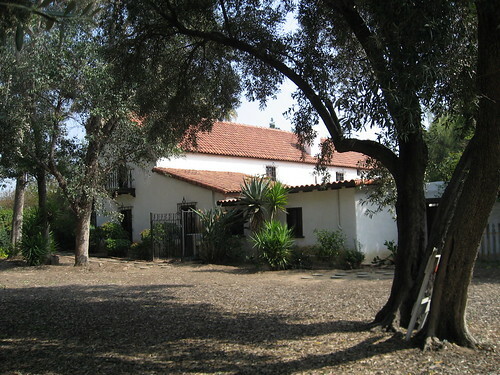 After a few years of deterioration, the Workman Ranch was acquired by a married, screenwriting couple, Colin Clements and Florence Ryerson (the latter co-wrote the screenplay for The Wizard of Oz likely while living here), who had it restored under the guidance of Lawrence Test. Included in Test’s renovations was attaching the carriage house to the main building. It was Florence who re-named the site Shadow Ranch for the amount of shade provided by the tons of eucalyptus trees planted by Workman decades earlier. 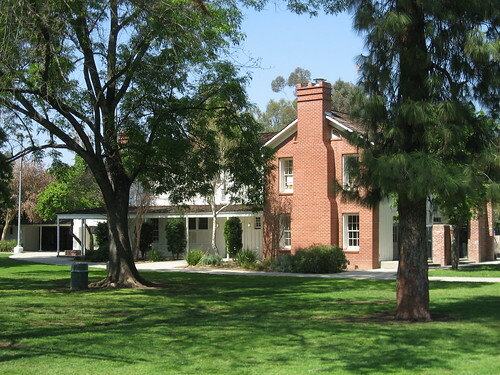 In the 1950s, Shadow Ranch was a private girls’ school called “Robinnaire”. According to a handout a the site, the city of Los Angeles bought the property in 1957. 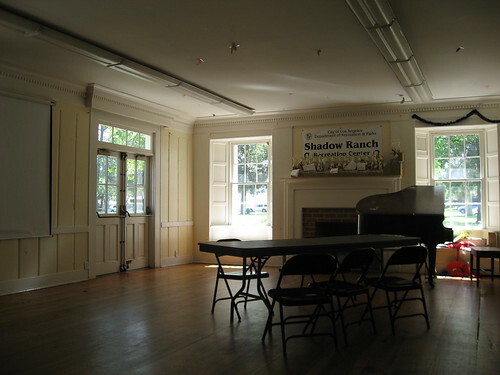 Later, Shadow Ranch was shut for five years when it was extensively banged up in the 1994 Northridge earthquake. It now serves as a community recreation center. Unfortunately, there aren’t as many of the old eucalyptus trees as there was once were, but you can still see some really huge stumps left behind. In the shot to the left, you can see how at least one of them towered above the place. Compare it - sort of - to the shot above. The picture's from the city's Department of Recreation & Parks website. McGrew and Julian’s Landmarks of Los Angeles mentions a pair of landscape architects in the site’s history – Charles Gibbs Adams in the Clements years and Arthur G. Barton after the city purchase – and I think they deserve special note. William Wyler’s The Children’s Hour (1961) was filmed here. Finally, in the shot above, in the obligatory photo of the main building's northwest corner, it was necessary for me to include the restrooms as somewhat of a focal point. For this, I apologize. Man, talk about a survivor. This house hasn’t had just one location in its Los Angeles history. Not two, nor even three, but four different sites has this home called home. 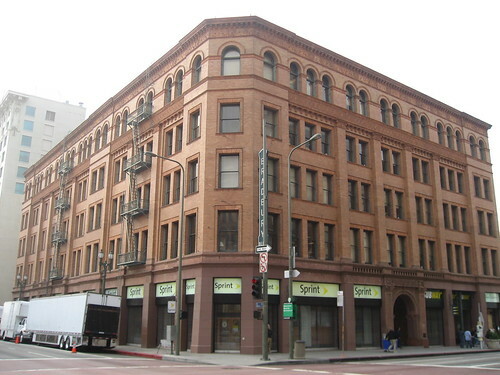 According to Landmarks of Los Angeles by McGrew and Julian, it was built in 1872 at the corner of Seventh and Figueroa (then called Pearl), being moved to Wilshire Boulevard in 1921. It was then relocated to 633 South Witmer Street, and, in 1993, finally wound up at its present spot on Carroll Avenue. 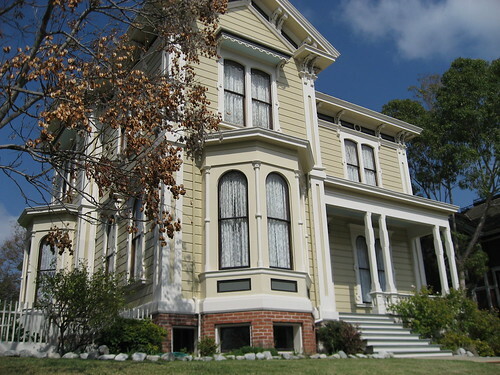 The home was built by Samuel Calvert Foy whose daughter, Mary E., in 1880 became L.A.’s first female city librarian (she was just 18 years old when appointed). 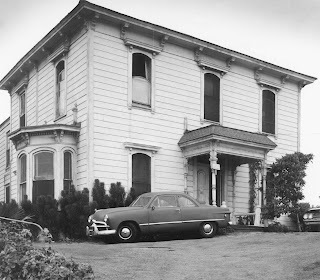 In the teens, the house was used by the Golden State Transfer Co. The sunny afternoon I was there, the Foy House looked so bright and solid, you would’ve thought the owner had painted the home that morning. 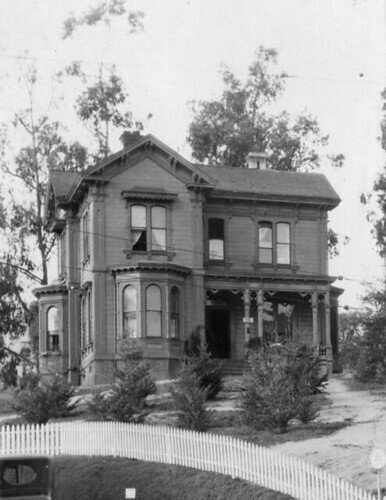 The home, on Figueroa, in 1919. If you haven’t walked this one-block stretch of Carroll Avenue, it’s your loss. Not only is the 1300 block itself listed in the National Register of Historic Places, but in just a few hundred feet, you’ve got a dozen L.A. Historic-Cultural Monuments (the next on the list is at No. 51). Each home is more stunning than the last. 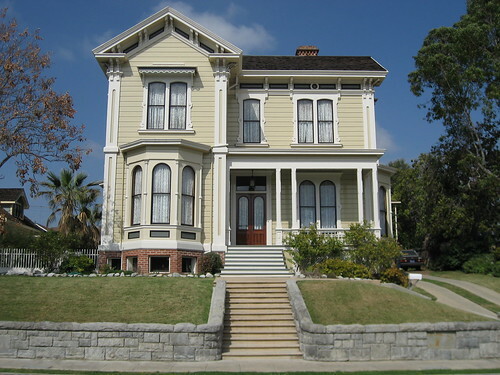 Carroll Avenue is part of Angelino Heights, “Los Angeles’s First Suburb”. 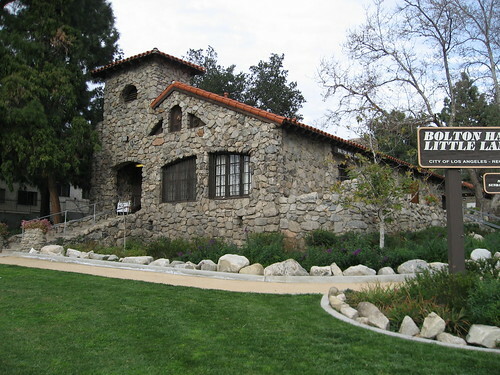 In 1983, the area was designated the city’s first Historic Preservation Overlay Zone (HPOZ). Among other things, in HPOZs, owners get tax reductions (usually from 25-60%), and the city must grant permission before any exterior work may be done. HEY, YOU! DO YOU WANT TO OWN A LOS ANGELES HISTORIC-CULTURAL LANDMARK? Well, now’s your chance. Up for sale, down two doors from the Foy House, is HCM No. 109, the Irey House. 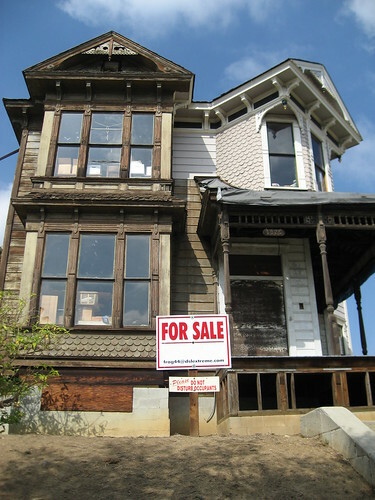 This late 1880s fixer-upper could be yours for a mere $1.6 million (pre-restoration costs). Originally the residence of gardener Hiram B. Irey, it was moved here from Court Street nearly thirty years ago. Four bedrooms, five baths, a formal dining room, and two parlors included. 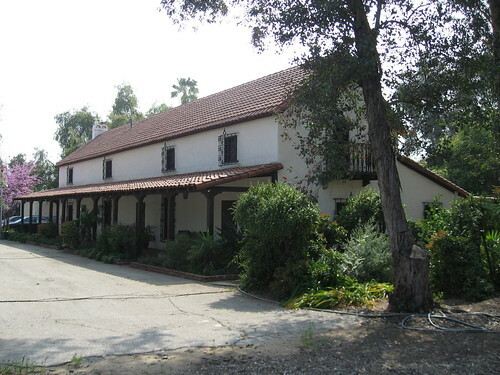 Here’s a quick history of the Andres Pico Adobe AKA De Celis Residence AKA Romulo Pico Adobe AKA Ranchita Romulo, cobbled together primarily from a San Fernando Valley Historical Society handout and this site summarizing the relevant section of John R. Kielbasa’s book, Historic Adobes of Los Angeles County. c. 1834 A 40-odd-foot long, one-room adobe is built, probably by Native Americans, maybe for storage for the nearby San Fernando Mission. 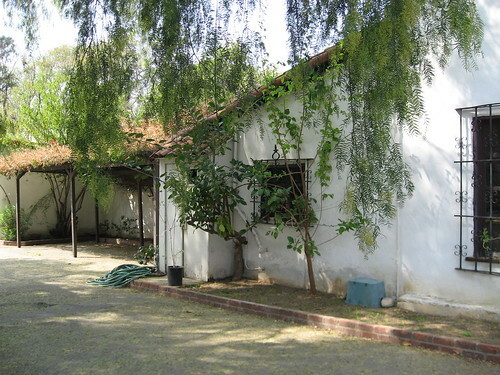 1845 Pio Pico, governor of Mexican Alta California, allows his brother, Andres, to co-lease what remains of the San Fernando Mission land, about 118,000 acres. 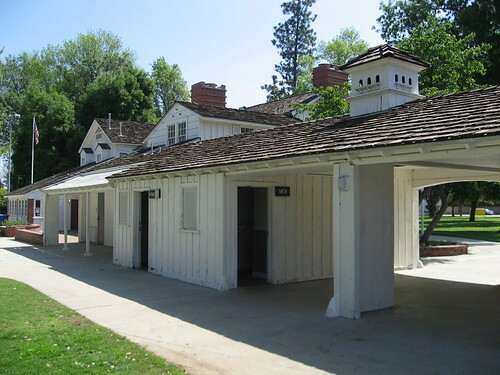 1846/47 Needing money for the U.S.-Mexican War, Pio Pico sells the San Fernando Valley (except for two ranchos), including the Adobe, to Don Eulogio de Celis for $14,000. 1853 Don Andres Pico, Pio’s brother and, more famously, the Mexican general who surrendered to John C. Fremont and signed the 1847 Treaty of Cahuenga, putting a stop to the U.S.-Mexican War, buys half of the Valley for $15,000. 1862 Facing debt, Andres sells his Valley land to Pio. 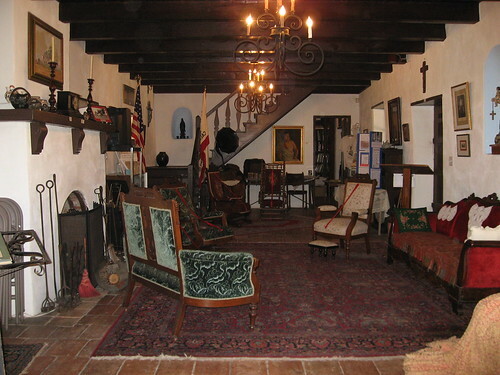 By this time, a library and dining room had been added to the structure, although it’s likely Andres never actually resided at the Adobe. 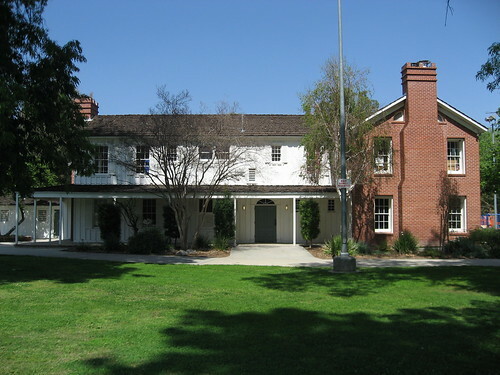 1869 Pio sells his Valley land to the San Fernando Farm Homestead Association, led by a pair of Isaacs – Lankershim and Van Nuys. The sale did not include the Adobe. 1874 Romulo and Catarina Pico, children of Andres, marry and take up residence in the Adobe (don’t worry, they were legally adopted). They modernized the home, adding a second floor, a kitchen, two wings, and a new floor. 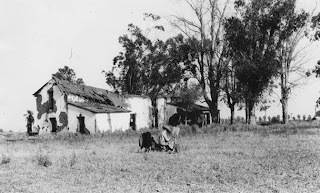 1930 The Adobe, after being bought and sold a few times since the Picos moved out in the late 19th century, is a vacant and vandalized wreck. Archaeologist Dr. Mark Harrington, curator of the Southwest Indian Museum, and his wife buy the Adobe and restore the Monterey-style home more in the manner of an older hacienda, pre-dating the Pico renovations of the 1870s and 1880s by fifty years. 1927, before the Harrington restoration. 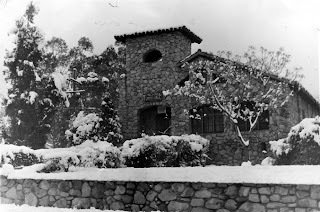 1945 Harrington sells the Adobe to Dr. G. M. Lindblade and his wife. Early 1950s Morris D. Farnell and his wife buy the home. 1957 The North Valley YMCA buys the Adobe with five acres, using it for office space. 1965 The building’s put up for sale and threatened with demolition. 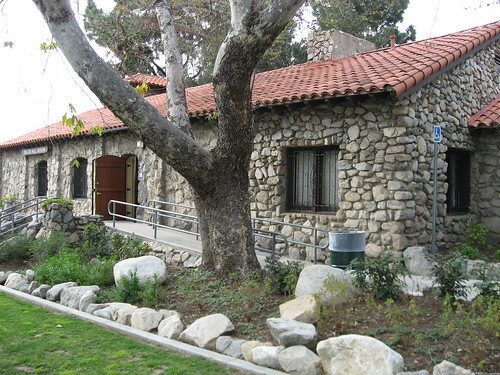 1968 The city of Los Angeles buys the property and hands it over to its Department of Recreation and Parks, which maintains the exterior and grounds to this day. 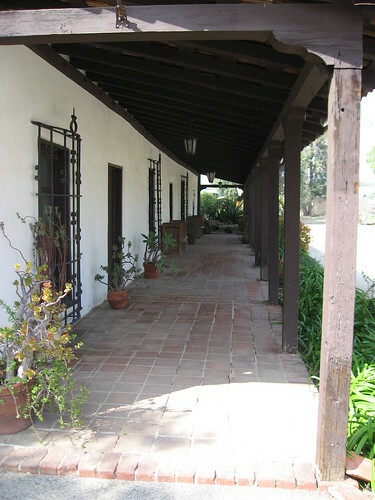 The Adobe is listed in the National Register of Historic Places. It’s California State Landmark No. 362. 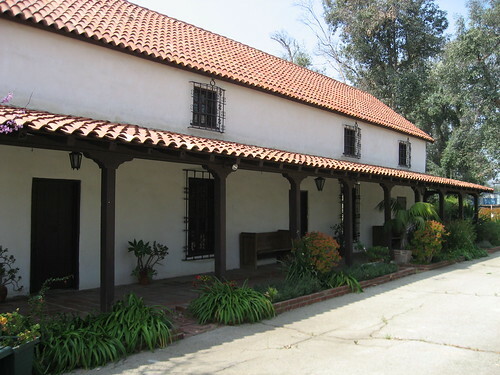 The Andres Pico Adobe serves as the headquarters for the San Fernando Historical Society. The building’s open for tours on Mondays and the third Sunday of each month. Bonus! Also on the site is a small, hexagonal building in ill-repair. 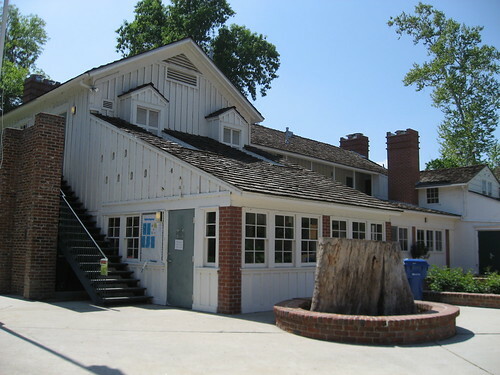 It was built in the early 1900s as a reading room on the Lankershim Ranch. 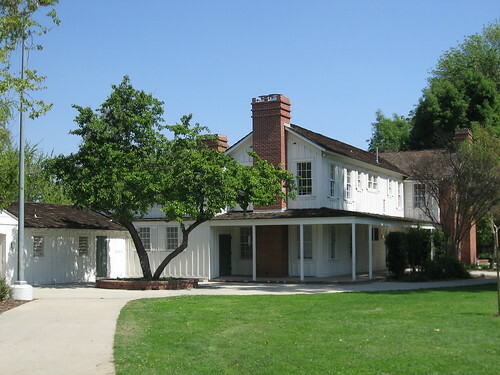 In the mid 50s, Roy Rogers and Dale Evans bought the place, and moved it to their ranch in Chatsworth. 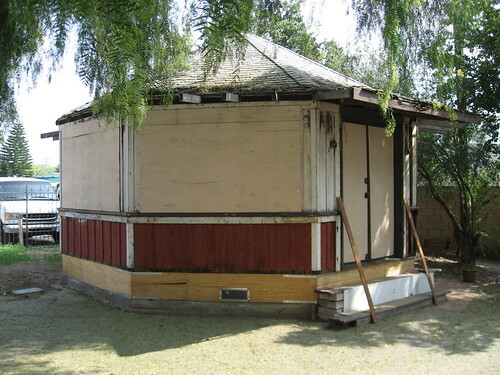 Just a few years ago, facing the wrecking ball, the little building was re-located to the Adobe, where it awaits restoration funds. See a short clip of the building being put on its new foundations by clicking here. For what it’s worth, finding the Adobe was no easy task (at least for me). Despite the address being a Sepulveda Boulevard one, the site’s actually on a little one-way road that veers off Sepulveda toward Brand. Keep a lookout for it soon after you go north from the 118. That’s if you’re going north from the 118. Whoa - what a building. It must be a blast going to work each morning to the Bradbury. 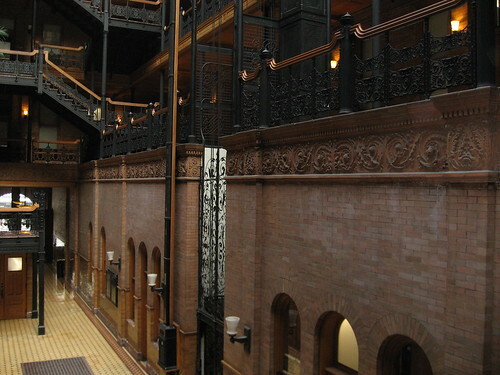 The Bradbury Building was the project of real estate developer Lewis Bradbury, a guy who had made his initial millions in the mining industry. In the early 1890s, he decided to have constructed an office building near his Bunker Hill home as a testament to the Bradbury name. 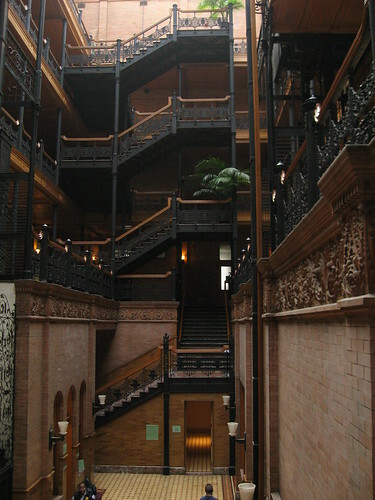 After not being happy with the designs by the first architect hired for the job, Bradbury offered the assignment to George H. Wyman. Wyman, for a couple of reasons, said no. Then, as so often happens in these cases, the 32-year-old Wyman got a sign from his dead brother via a precursor to the Ouija board, urging him to take the gig. So take the gig he did. 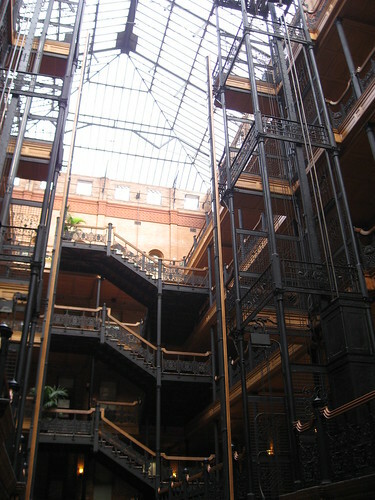 This is like a million other photos you see of the Bradbury, only crappier. 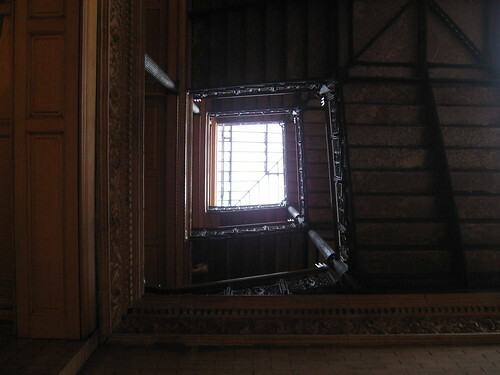 You're disallowed from venturing above the landing from which this shot was taken unless you're a tenant. Which I'm not. - Wyman’s design was partly inspired by Edward Bellamy’s book, Looking Backward. - The Italian Renaissance exterior’s façade is brown brick and sandstone terra cotta. 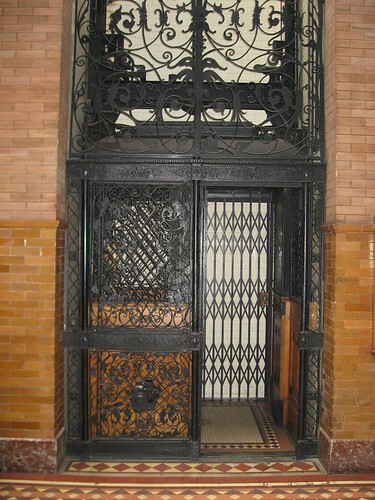 - The interior’s wrought iron is French-made and was first displayed at the World’s Fair in Chicago (technically, the World’s Columbian Exposition). - The floor is Mexican tile; the stairs are Belgian marble. - Construction wound up costing $5000,000, nearly three times its original estimate. The sad part of the story is that Bradbury never lived to see the building finished, dying just a few months before completion. Look at the floor, not at the guy on the stairs. 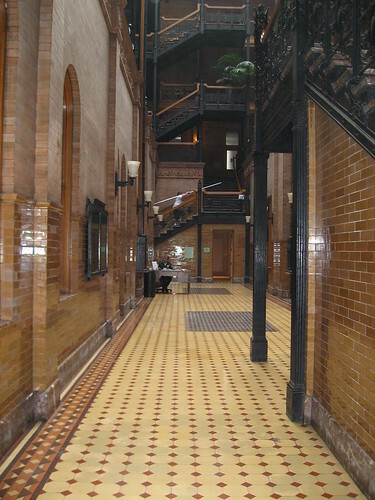 The Bradbury underwent a massive restoration in the early 1990s. 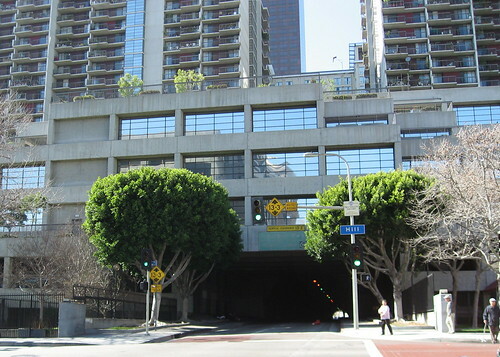 Currently, the Los Angeles Police Department’s Internal Affairs division is located here. 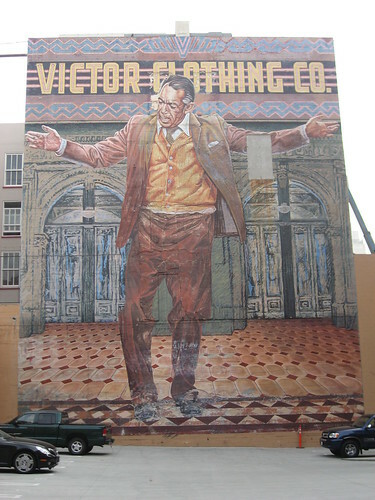 When you visit the Bradbury, make sure you look across the way on the 3rd Street side to the great Anthony Quinn mural, The Pope of Broadway. You can read about the mural and the muralist, Eloy Torrez, on the wonderful site, Public Art in Los Angeles. You can see where I tagged Tony's left shin. 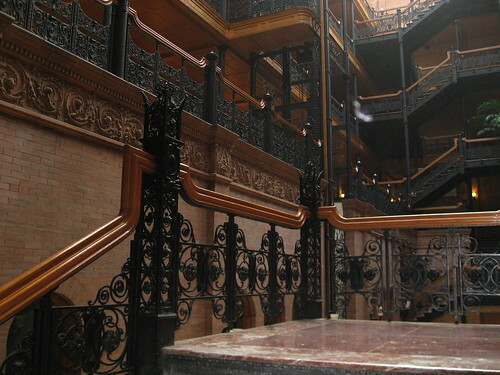 The Bradbury Building is also designated a National Historic Register landmark. If you’re thinking of visiting Los Angeles Historic-Cultural Monument No. 5, the Salt Box, don’t bother. It’s long gone. Ray Hebert, in a Los Angeles Times article dated 10/10/69, reports the Salt Box, along with LA HCM No. 27, the Castle, was burned to the ground in the early morning hours of the previous day, Thursday, October 9, 1969. The buildings were to be the first two homes in the nascent Heritage Square. A picture with article shows the Castle “in total ruins” and the two remaining exterior walls of the Salt Box. Also of note, the article says the Salt Box was built a few years after 1883, the year the Castle was put up. I went with the 1880 date used in that booklet issued by the city’s Cultural Heritage Commission mentioned above. However, Patrick McGrew and Robert Julian’s Landmarks of Los Angeles, published the same year, says the Salt Box was built in 1887. Conclusion? Cheeseburgers are awesome! What I do know is the Salt Box was the fifth of five monuments designated by the Los Angeles Cultural Heritage Board on its first day of business, August 6, 1962. And, no, I don’t know what make of car that is. Alright. I know what you’re asking yourself. “Hey, shouldn’t there be an apostrophe in the word ‘Angels’?” You’d think. You can find it written both ways. However, on the Hill Street arch itself, clear as a bell, it reads ‘Angels’, so I’m going with ‘Angels’, sans apostrophe. 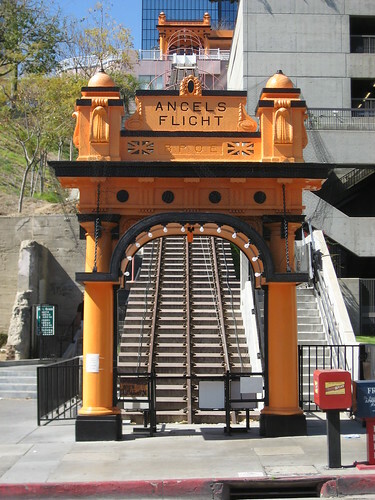 Angels Flight was built in 1901 by Colonel J. W. Eddy as a means of public transportation, carrying folks up and down the super-steep (33% grade) 3rd Street between Hill and Olive, where sat the swanky residential Bunker Hill. After Bunker Hill was pretty much cleared away, the funicular lost its function, and it was dismantled – but stored away – in 1969. Funicular – of or pertaining to a rope or its tension; depending on or worked by a rope. 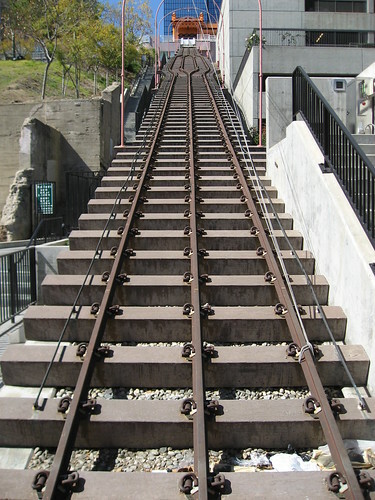 Funicular railway – one worked by a cable and stationary engine; a cable railway. The Arch, originally constructed the decade after the railway went into service. 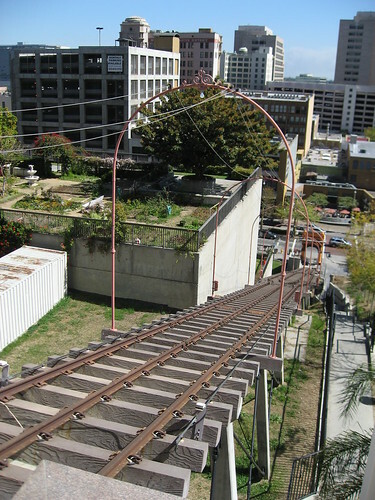 After more than half of the original system was restored and relocated about a hundred feet closer to 4th Street, Angels Flight reopened in 1996 only to close down five years later after a fatal accident involving the two cars and some bad brakes. 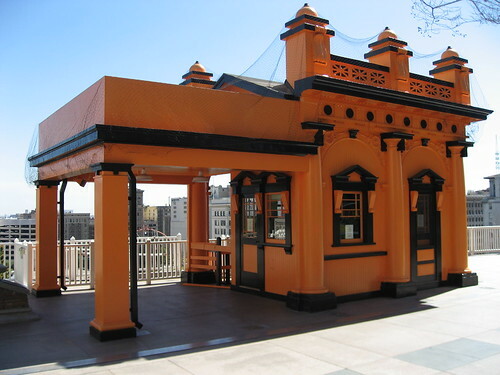 The Angels Flight Railway Foundation has recently announced that a $2.6 million restoration is nearly complete and “The Shortest Railway in the World” should reopen again sometime this summer. That’s great news, especially considering the influx of citizens moving downtown. Q: What’s more annoying than trudging up the Angels Flight hill, on foot, on a scorching 90-degree day? 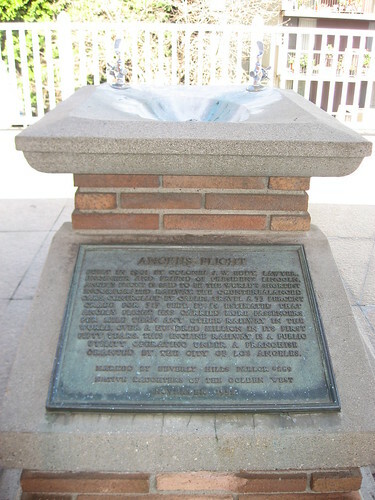 A: Trudging up the Angels Flight hill, on foot, on a scorching 90-degree day only to find the station house’s water fountain not working. Compare the two pictures below, the first being the original 3rd Street Angels Flight from about 100 years ago, the second that same view today. It’s hardly any different! The two cars are named Olivet and Sinai. Go here for a song composed in honor of them. 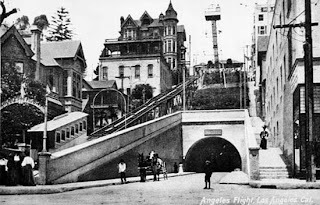 Go here for some cool old pictures of Angels Flight. Go here for a 1/24/07 Los Angeles Times article on the planned reopening. 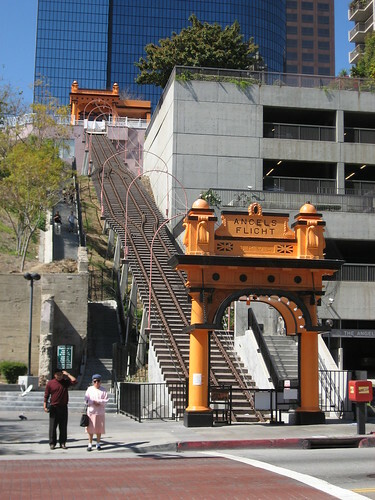 Angels Flight is also on the National Register of Historic Places. 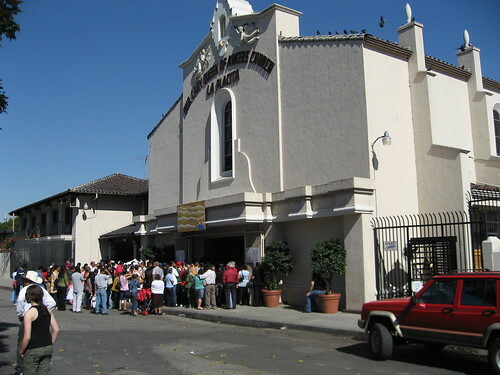 Iglesia Nuestra Señora Reina de los Angeles (The Church of Our Lady the Queen of the Angels) was built after the previous church was ruined by flooding. 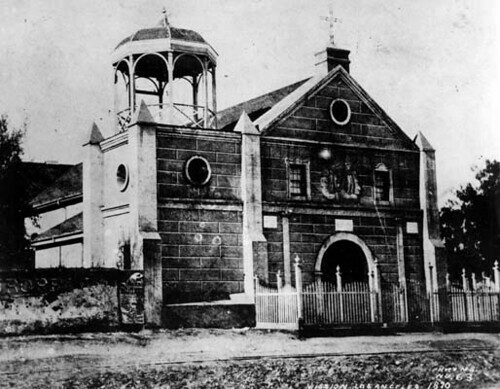 While this building was dedicated on December 8, 1822, the church itself was founded in 1781, shortly after settlers first arrived. 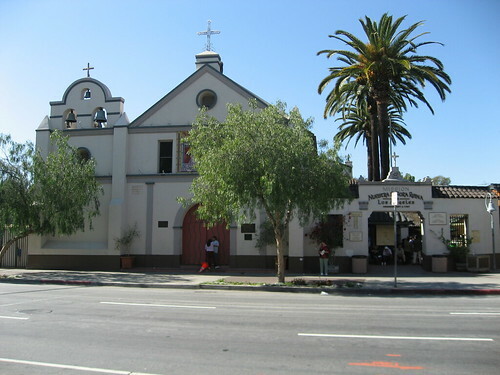 Despite lots and lots of changes over the last two centuries, Plaza Church can claim it’s the oldest established church in continuing use in Los Angeles. 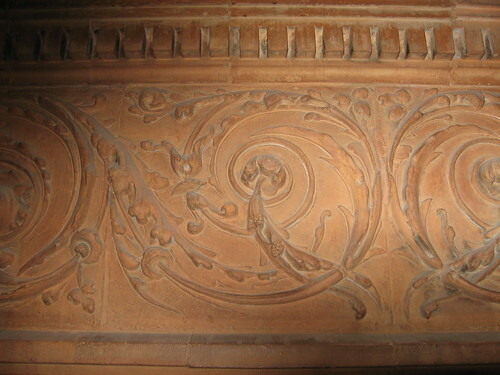 Compare these two photos – the top one, from the Denver Public Library, was taken by William Henry Jackson – and you can tell how much was added to the original building. 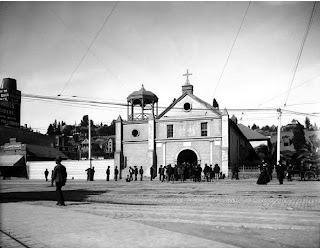 Actually, if you read David Gebhard and Robert Winter’s Los Angeles: An Architectural Guide, it’s clear that pretty much what you see in this vintage photo is even much different than how the church looked originally in 1822. This shot is probably close to how the place looked after a re-modeling at the start of the Civil War, minus the bell tower which was added in 1875. 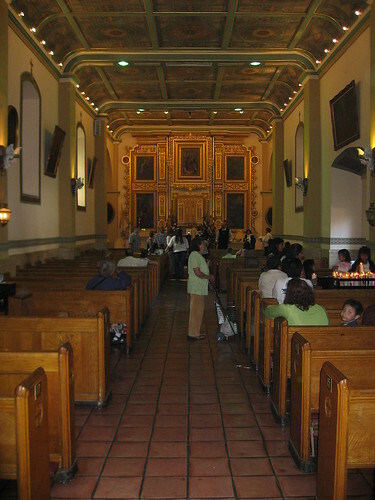 The picture below is the area in the older part of the church and what you see when you go straight through the main doors. Around the back you can see the most functioning part of the church, also a later addition. I was there on a Sunday afternoon, so it was really packed. Finally, just more than a century ago, it was decided that every mile of the El Camino Real (The King’s Highway, which linked California’s missions) should be marked with some sort of guidepost – actually, a bell. If you look to the very right side of the wide shot above, you can see the first bell/marker dedicated in the summer of 1906. There’s also a bell outside the Leonis Adobe (CHM #1). Oh. 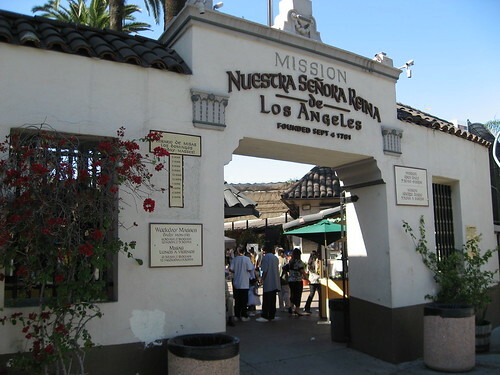 And, despite what you read in the picture below, it's believed now that Iglesia Nuestra Señora Reina de los Angeles was never officially a mission. 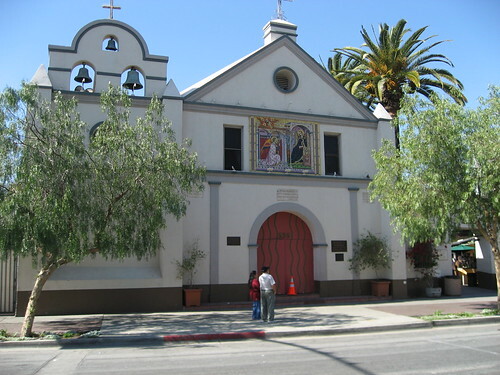 Plaza Church is also California Historical Landmark #144. George Harris, also known as “Nature Builder”, designed this, the community’s meetinghouse, using stone quarried locally. Besides all those rocks (and there are A LOT of them), there’s an immense fireplace (more rocks) and a wooden-beamed ceiling. Outside were originally three fountains on the corner. The lowest one to the ground was for dogs, the middle one was for horses, and the highest one was for people. Those fountains are long gone. Dedicated in 1913, the building became the center for community activities. Originally known as “The Clubhouse”, the building was soon named Bolton Hall after the author of A Little Land and a Living, a Socialist/writer/reformer/philosopher whose name was actually Bolton Hall. 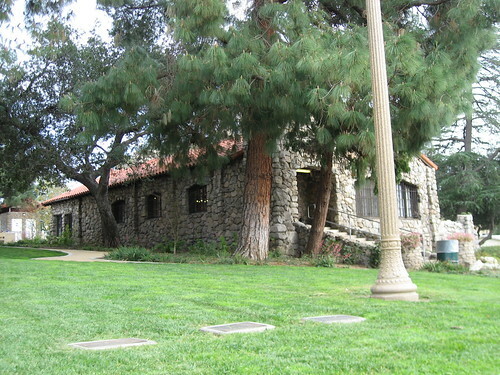 Following a brief ownership by the American Legion, the structure served as Tujunga’s City Hall with a two-cell jail upon the community being incorporated in 1925. (Tujunga bought the jail cells for $1 a piece. After officials realized the cells couldn’t fit through the hall’s doors, another twenty feet or so were added onto the back of the structure for accommodation.) 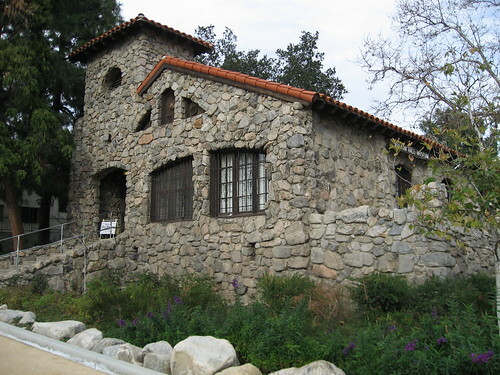 Once Tujunga became part of Los Angeles in 1932, Bolton Hall housed L.A.’s Department of Building and Safety and its Health Department. The structure was vacated in 1957 when a new municipal building was put up. Talk of demolition began in 1959 and, despite being among the first monuments certified in 1962, Bolton Hall’s future was touch and go until 1967. That’s when a federal fund matched restoration money raised by The Little Landers Historical Society. However, it took another thirteen years before rehabilitation work actually began, by which point the structure was in pretty shoddy shape. 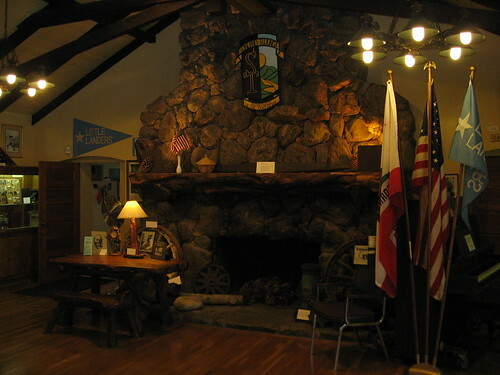 Bolton Hall re-opened June 27, 1981, and is now the home of the Sunland-Tujunga Little Landers Historical Society. It’s open Sundays and Tuesdays from 1:00 p.m. to 4:00 p.m. Admission is free.